It’s your data. Access it the way you want. 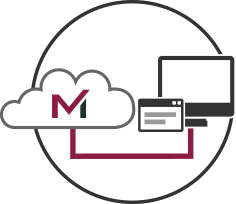 Medforce offers both on-premises and cloud versions of our desktop software, as well as a Web App that allows any user with an Internet connection to access the vital information they need. Pricing depends on which products you purchase, which hosting option you choose, how many users you need, and which product enhancements and additional services you select. No matter which plan you choose, with Medforce you always own your data. Also known as the "Install" option, with an on-premises solution, you own the software and it resides on your server. We help with the installation and guide you through set-up, and you handle the server maintenance and data backups. The online option follows a Software-as-a-Service (SaaS) model with cloud-based software you access through an internet connection. We take care of server maintenance, software upgrades and data backups. 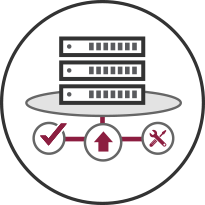 Our servers are located in a secure and reliable data center with high availability architecture and redundancy that maximizes uptime and business continuity. You minimize your hardware and IT costs, with no storage limit. 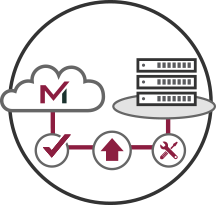 To learn more about the benefits of a hosted solution, click here. Whether you choose the install or cloud version for your Medforce software, you have the option of using our Web App that provides registered users secure access to files and tasks through any web browser. Whether on a tablet or simply from your home computer, users can always get the information they need to stay on track. Unsure of which option to choose? We’ll help you assess your business goals, strategy, and IT resources. Together, we’ll build a plan that will match today’s needs and grow with you far into the future. Contact us today to learn more.